What’s up, everybody! Sydnee here, and Tuesday, December 4, starting at 12pm PT/3pm ET/8pm UK (December 5 at 7am AET) I’m streaming Just Cause 4. I’m ready to blow a lot of stuff up and cause some mayhem. Come join me! You can watch live on here on IGN.com, YouTube, Twitch, and Mixer. 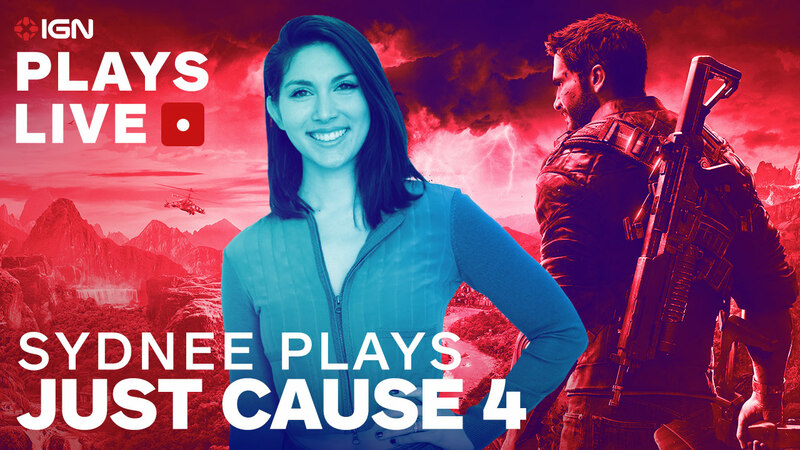 In the meantime, check out the live-action trailer for Just Cause 4 below. See you on Tuesday! Presented by Xbox One X.